Max lift capacity 6,000 lbs. Max reach below grade: 3' 3"
Max. Reach @ Max. Height to 24" load center 22' 5"
Fuel Tank Capacity 24 gal. 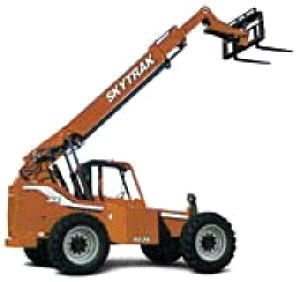 Turning clearance radius 13' 9"
* Please call us for any questions on our telehandler 6036 36 foot yard lift rentals in Durango CO, LaPlata County, Mancos, Ignacio, Cortez, Bayfield, Pagosa Springs, and Silverton CO.